Dr Sally Field runs Kingston Psychology Clinic, a clinical psychology service based at Kingston Natural Health Centre, which helps people with psychological and emotional difficulties. The service specialises in working with adults who are experiencing a wide range of presenting difficulties and offers individual psychological assessment and one-to-one psychological therapy. Whilst a variety of psychological approaches are drawn upon, the latest up-to-date, evidence based treatments are the most frequently offered, including Cognitive Behaviour Therapy (CBT). Dr Field works with a wide range of presenting difficulties and also a range of presenting severities, from milder difficulties to more severe and longstanding difficulties. In addition to more classically recognised mental health difficulties, she also works with people struggling to come to terms with or adjust to changed life circumstances such as bereavements, relationship difficulties and physical health conditions. Evening & Afternoon appointments are available. The service is registered with all major health insurance companies and the following professional bodies; BPS, BABCP, HCPC. Self referrals accepted as are referrals through health care providers. 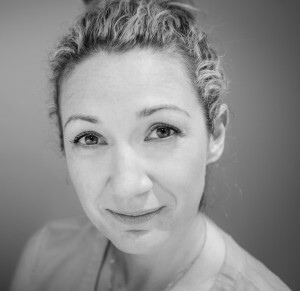 Dr Field is a professionally registered Practitioner Psychologist with the Health Professions Council (HCPC), she has chartered membership of the British Psychological Society (BPS) and is a full member of the BPS division of clinical psychology. Dr Field has worked in the field of adult mental health since 2001 in both inpatient and outpatient clinic settings (both NHS and private sector). She currently works for the NHS as a Senior Clinical Psychologist as well as Kingston Psychology Clinic. Dr Field has very broad experience of working with the full range of presenting difficulties and also has specialist training in working with people with difficulties associated with traumatic events, both in their adult life and also traumatic or abusive experiences from childhood. Dr Field believes that with the right support, people can make valuable changes to their lives which can significantly alter their quality of life. She works hard to form a trusting, empathic and collaborative relationship with people and strives to have a therapeutic relationship on an equal footing. Dr Field endeavors to engage people in therapy in a warm and meaningful way, whilst not shying away from compassionate discussion of the important issues. 2005 Post Graduate Diploma in Counselling Psychology – College of Applied Psychology, Sydney. Please call 0208 549 8000 to make an appointment with Dr Field.